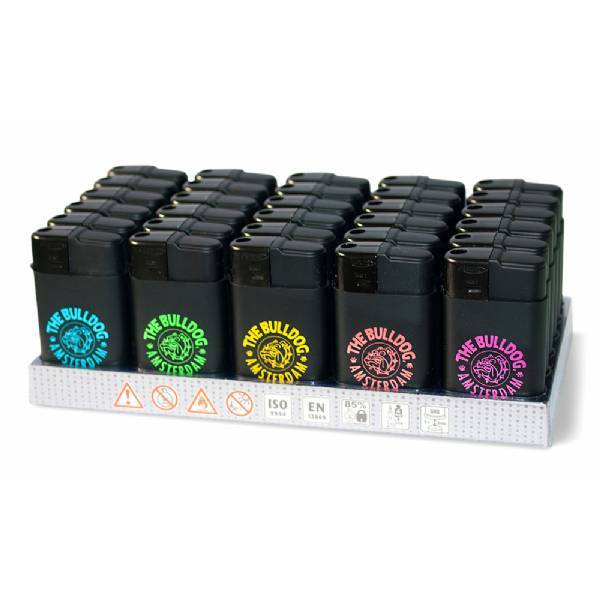 The Bulldog Maxx Black Lighter with Coloured Logo The Bulldog Amsterdam. The Bulldog, the first coffee shop chain born in Amsterdam in 1975, created the Maxx Black flame lighter. This comfortable plastic lighter on a black background has the famous "The Bulldog" logo in different colors.